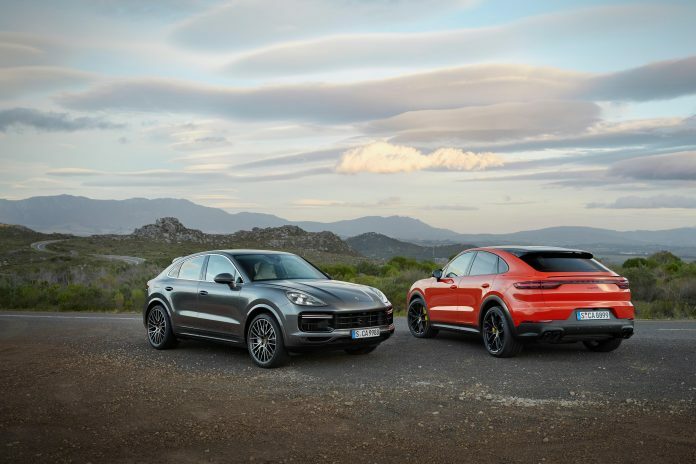 Porsche to the SUV family with the new body of the Cayenne Coupé! The new Cayenne Coupé is distinguished from other Cayenne models with its dynamic lines and special design details. 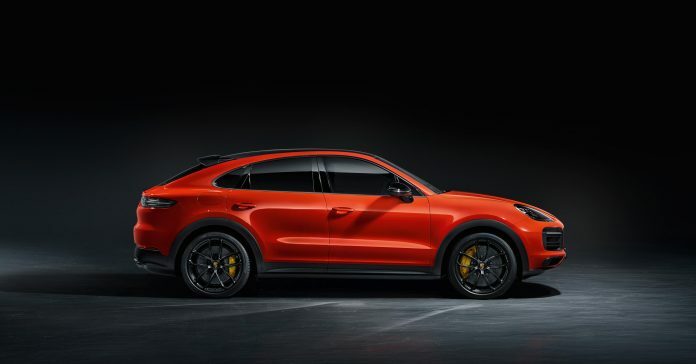 The new Cayenne Coupé will be on the road from May with the choice of two different engines with 340 HP and 550 HP turbocharged superchargers. Porsche has expanded the SUV family with the new Cayenne Coupé. 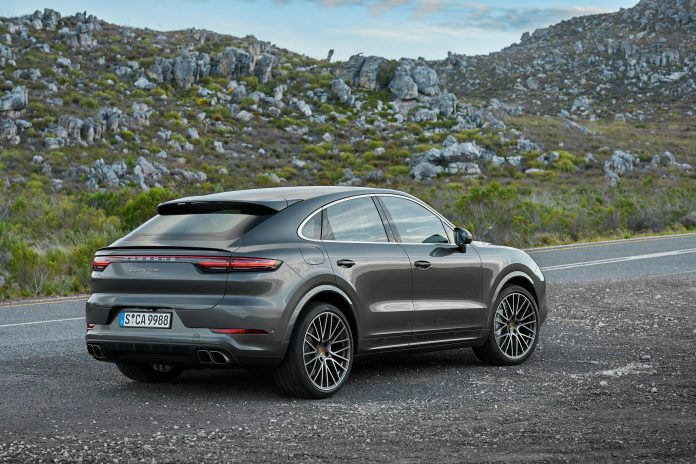 The new Cayenne is characterized by a distinctive rear design, adaptive rear spoiler, a rear bench with two single seats and two sharper roofs. The more dynamic proportions and special design elements combine to give the elegance of the new Cayenne Coupé. The much more steep roof line that goes backwards makes the Cayenne Coupé look more dynamic and the most sporty model in its class. This effect is also supported by the roof spoiler, which emphasizes the remarkable silhouette of the Coupé. The windshield and column A provide a lower view than the Cayenne thanks to the roof corner, down to 20 mm. The redesigned rear doors and mudflaps extend the shoulders of the vehicle by 18 mm, making it look more muscular in general. Integrating the rear plate into the bumper makes the car look closer to the ground. With its adaptive roof spoiler, the Cayenne Turbo had been the first SUV to incorporate active aerodynamics. The new Cayenne Coupé roof spoiler is combined with a new adaptive rear spoiler as part of Porsche Active Aerodynamics (PAA), moving the flag further. The spoiler, which is integrated into the silhouette of this model, increases the contact pressure on the rear axle by expanding 135 mm at speeds of 90 km/h and increases the efficiency at the same time as the PAA. The new Cayenne Coupé comes standard with a 2.16 sqm fixed glass panoramic roof. The 0.92-square-meter glass area provides passengers with a great feel, while the integrated roller blinds provide protection against sunlight and cold. The carbon steel retouched lines are also available as an option on the coupé, if required. The mid-beam adds a sports car that looks like a Porsche 911 GT3 RS. The carbon roof is available in one of the three lightweight sports packages, including Sports Design features and newly lightened 22-inch GT Design wheels, seat covers made of classic checkered fabric, and carbon and Alcantara accents in interior design. The Cayenne Turbo Coupé also features a sports exhaust system. The new Cayenne Coupé is available as standard for four people. The eight-way sports seats with the new integrated headrests at the front provide great comfort and the best lateral support. The coupé is equipped with a rear bench with the characteristics of two single seats in the rear. Alternatively, the rear comfort seats offered as a standard feature on the Cayenne models can be requested without any additional costs. Passengers traveling in the rear seats travel 30 mm lower than the Cayenne. This feature allows the vehicle to stay in a lot of ceiling space with the lowered sport silhouette. The 625-liter luggage volume is ideal for everyday use, and in the case of closing the rear seats, it increases to 1,540 liters. The third model family of the Cayenne Coupé stands out with many technical features. These include powerful driving systems; innovative chassis systems; digital display, working concepts and comprehensive online communication systems. With six-cylinder supercharged engines and a three-liter piston volume, the Cayenne Coupé reaches a value of 340 HP (250 kW) and a maximum torque of 450 Nm. While mass production vehicles with the Sport Chrono Package reach from 0 to 100 km / h in 6.0 seconds, this time is reduced to 5.9 seconds in lightweight sports packages. The maximum speed of the vehicle is 243 km/h. The best-in-class Cayenne Turbo Coupé comes with a four-liter V8 engine, twin-supercharger, 550 PS (404 kW) and a maximum torque of 770 Nm. The Cayenne Turbo Coupé comes in from 0 to 100 km/h in 3.9 seconds and reaches a top speed of 286 km/h. The new Porsche Cayenne Coupé will be in the Porsche Center since the end of May. The rich standard equipment of the new model includes speed-sensitive Electric-Assisted Steering, 20-inch aluminum wheel, front and rear reversing camera, Park Assist, Porsche Active Suspension Management (PASM) and Sport Chrono Pack.